The California Native American Heritage Commission (NAHC or Commission), created in statute in 1976 (Chapter 1332, Statutes of 1976), is a nine-member body whose members are appointed by the Governor. The NAHC identifies, catalogs, and protects Native American cultural resources -- ancient places of special religious or social significance to Native Americans and known ancient graves and cemeteries of Native Americans on private and public lands in California. 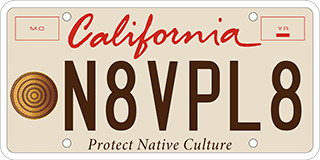 The NAHC is also charged with ensuring California Native American tribes’ accessibility to ancient Native American cultural resources on public lands, overseeing the treatment and disposition of inadvertently discovered Native American human remains and burial items, and administering the California Native American Graves Protection and Repatriation Act (CalNAGPRA), among many other powers and duties.